Turmeric is taking a turn as the latest “super food” to trend. Sales of this pungent spice with a rich yellow hue have risen steadily over the last few years and are expected to keep climbing. Today, turmeric is in everything from supplements to teas, along with claims from supplement sellers and some media outlets that this “miracle spice” can fight inflammation, prevent cancer, defend against Alzheimer’s disease, and detoxify your body. Can turmeric really do wonders for your health, or is it just another fad that promises far more than it delivers? The research is enticing, but experts say there isn’t enough proof to recommend it for preventing or treating disease just yet. “There is a lack of evidence indicating turmeric is an effective treatment for any health condition,” says Craig Hopp, PhD, deputy director of the division of extramural research at the National Center for Complementary and Integrative Health. For inflammation, studies have shown that curcumin changes immune system responses and blocks enzymes that can cause arthritis inflammation. 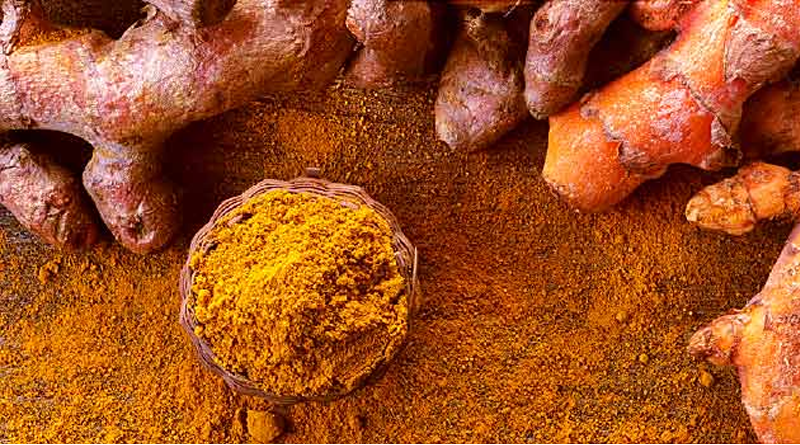 In some research, for example, curcumin relieved arthritis pain as well as ibuprofen. Studies also suggest it lowers unhealthy LDL cholesterol and increases healthy HDL cholesterol. However, study results can vary based on which part of turmeric researchers look at — the whole turmeric plant, a single compound like curcumin, or a mixture of many compounds, Hopp says. Each one can act differently. “It’s also important to differentiate studies that were performed in cells, from those performed in animals, from those performed in people,” he adds. A treatment that kills cancer cells in the lab might not do the same once it gets into the human body. And that’s part of the problem with turmeric. Which Supplements Can Soothe Your Ulcerative Colitis? Can turmeric and fish oil calm the inflammation in your stomach? One way to help your body absorb more turmeric is to take it with black pepper. A compound called piperine in black pepper prevents your gut from breaking down turmeric, which increases absorption. Many turmeric supplements come with piperine already mixed in. Taking turmeric with fat or oil has the same effect. That’s why Chiasson recommends that you add turmeric to salads and toss it with an oil-based dressing. You can also cook with it — adding it to curries and other dishes along with oil or pepper to boost its absorption. There’s no perfect meal plan to help you feel better if you’ve got RA, but go for a variety of nutritious foods. It’s good for your overall well-being and weight. You might try the Mediterranean diet, which features fish, whole grains, and fruits and veggies that may lower the inflammation caused by your disease. Another possible risk is gallbladder contractions. This could be a problem for people with gallstones or gallbladder disease. Curcumin might also interact with medicines — including sulfasalazine (Azulfidine), which is used to treat ulcerative colitis and rheumatoid arthritis. Turmeric could be dangerous if you take it in unusual ways — such as through an IV. In March 2017, a woman in San Diego died after getting an infusion of turmeric to treat eczema. “I don’t ever recommend giving it intravenously,” Chiasson says. You bet! Thank you for commenting S.